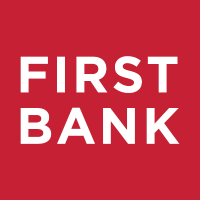 North Carolina-based First Bank has selected Crmnext’s customer relationship management (CRM) solution for a branch overhaul. The bank has more than 300,000 customers across 95 locations and reckons “the branch is evolving – not going away”. Therefore, it is looking to digital banking with “personalised, human interactions”. According to Crmnext, its solution reduces the average length of customer transactions by 90%, increasing employee productivity by 60%, and contributing an increase of as much as 40% to bottom line revenue. First Bancorp is the holding company for First Bank and is headquartered in Southern Pines, North Carolina. The company currently operates 95 bank branches, with 89 branches operating in North Carolina and six branches in South Carolina. North Carolina-based bank will use online loan application solution. NBB is replacing an extremely old core system, TC4, which was developed by an Indian company, CMC Limited. The app will allow customers to manage all accounts.